The small volcanic island of Poros is close enough to the Greek capital to make it a favourite weekend and holiday destination for Athenian families. Poros consists of two island-halves that are connected by a bridge. The southern, volcanic half is called Sferia, the slightly larger northern part is called Kalavria. Poros has a population of just under 4000, and an area of ca. 50 square kilometres. The island of Poros has rich vegetation, with pine forests in the island’s hilly regions and near the beaches. Poros Town is situated on the smaller half of Sferia; built on a multitude of hills, it affords a fantastic view of the entire harbour. The Greek island of Poros has a variety of beaches, some are sandy, and others are stony. The majority are situated on the south coast of Kalavria in one of the island’s many sheltered little bays, where the sea is calm. They are perfect for a family holiday with children, and stressed parents can switch off and relax on Poros. Holiday-makers who don’t want to spend all their time on the beach, find a considerable choice of sights to visit, the best-known ones being the ruins of the temple of Poseidon dating back to the 6th century BC. Then there is the monastery of Zoodochus Pigis, and an archaeological island museum exhibiting finds dating back to antiquity. As opposed to Hydra, cars and other means of transport are allowed on the island of Poros. Holiday-makers can rent a bike or a car to explore the island at their leisure. For all those who like beaches and water sports, there is a variety of options on the island of Poros, including para-gliding and wind-surfing. Those who’d rather enjoy beautiful scenery, will also find what they are looking for on this small Greek island. You can go for relaxing walks in the countryside or along the beach. In the vicinity of Galatea there is a lemon grove that is open to tourists. Small water taxis offer to take you across the water to the mainland and you can book a day-trip to the Acropolis, Delphi, Epidaurus, Mycenae and Nauplion. 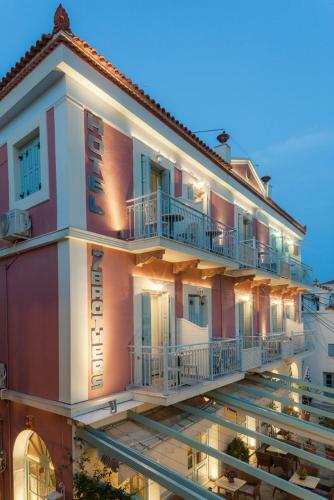 For those who like night-life and evening entertainment, the island of Poros has a lot to offer. There are numerous bars and clubs along the beach, all equally inviting. Traditional Greek food lovers will face the pleasant challenge of finding their favourite tavern. There is, for instance, the Restaurant ‘Rotaright’, directly by the promenade, serving excellent Greek food at reasonable prices. 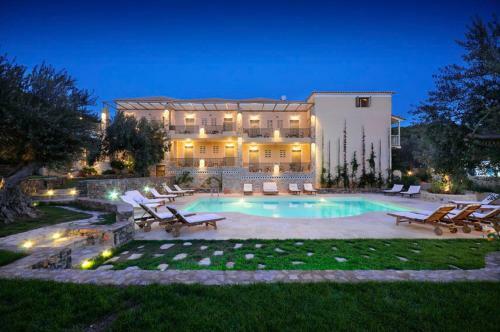 In terms of accommodation, the island of Poros offers a variety of places to stay including holiday villas and hotels.